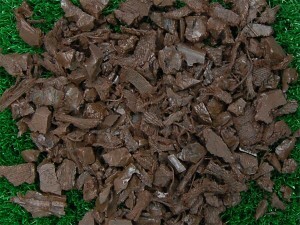 Rubber Mulch can be used in the garden, for layering under outdoor play equipment and on athletic fields due to its softness and resiliency. This synthetic mulch, from Rock and Block Hardscape Supply, is cost-effective, durable, environmentally-friendly, lower-maintenance and safe for your kids and pets. Our rubber mulch also offers ADA-Qualified wheelchair accessibility. It is meticulously developed to transform your garden into a beautiful space. Rubber mulch is a safe choice for the environment and children. It does not decompose thereby giving your landscape a fresh and vibrant look. It suppresses the growth of weed and pests, prevents soil from overheating, retains moisture and does not require replacement. 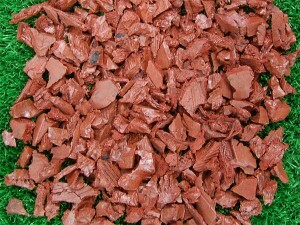 Rubber mulch can stand up to adverse weather and can be used for small scale and large scale landscaping projects. You can order Rubber Mulch in bulk today. Since 1989, our family-owned business has provided products to more than 100,000 customers in the San Diego area.